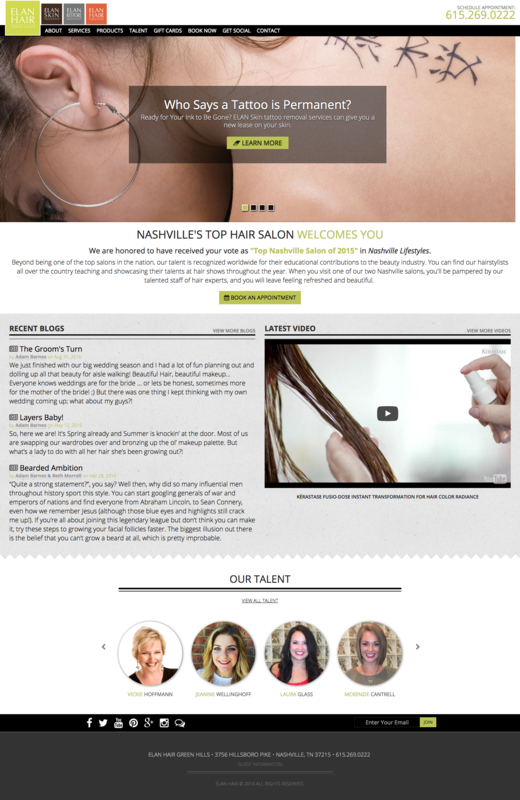 ELAN is one of the largest and most well-respected salons in Nashville. In addition to their hair salons, they also have a Skin Center and Laser Hair Restoration Center. 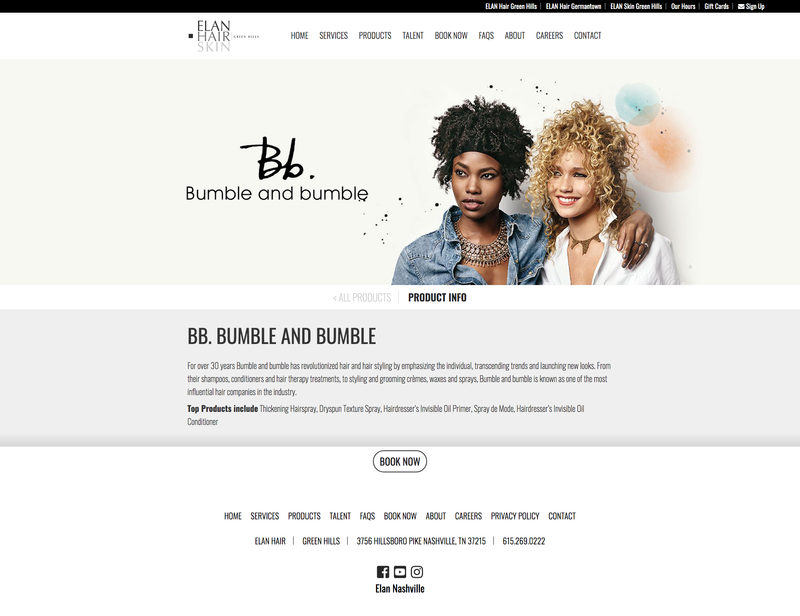 We were contracted to revamp the website for all four of their businesses and provide on-going Search Engine Optimization (SEO) and maintenance. Elan’s Talent section showcases the on-floor talent at each business unit. This WordPress multisite installation allows the company to manage each business unit website from one login. 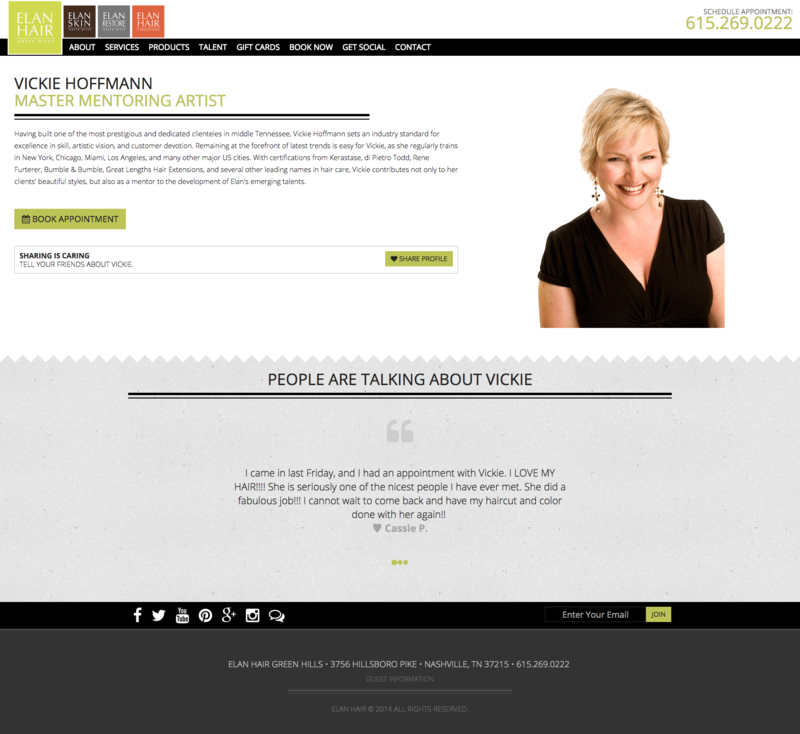 The bio section of the website allows the visitor to get to know the employee, their specialties and view their work. 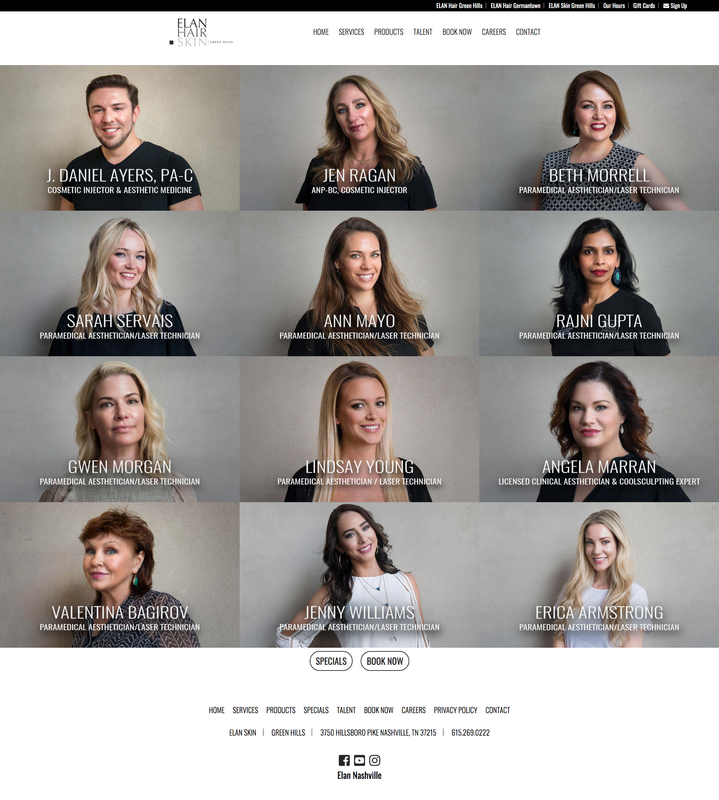 Each stylist at the salon’s has pricing determined by their level and years of experience. 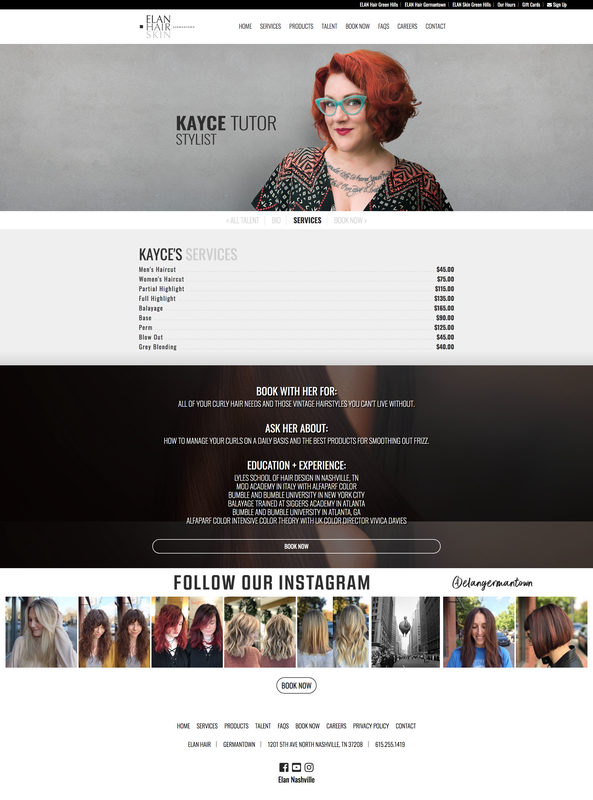 This tab within the employee bio allows visitors to learn more about each stylist’s pricing. This employee bio features the employee’s Instagram photos, to showcase previous work. The salons and skin care clinic carry the best products in the industry. The product section highlights these brands and top products. 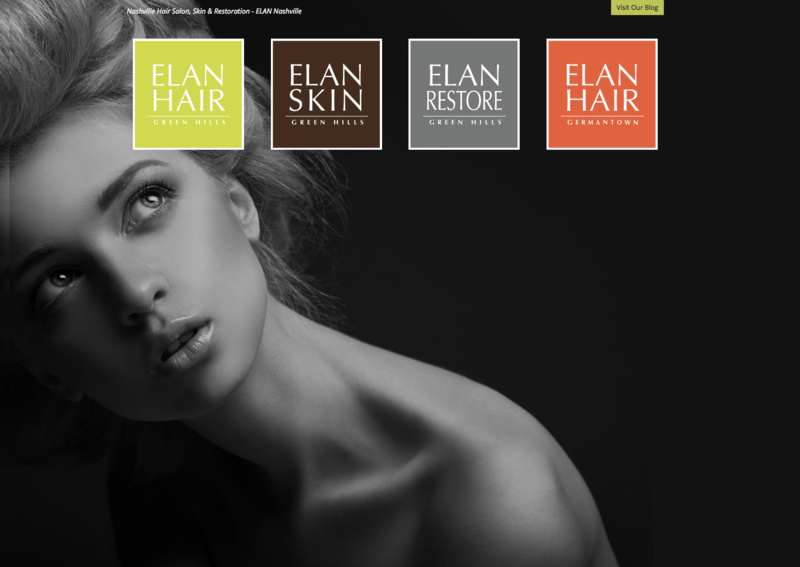 Elan offers many services. To provide better website flow for users on various devices, the services and pricing were condensed using fluid accordion panels. 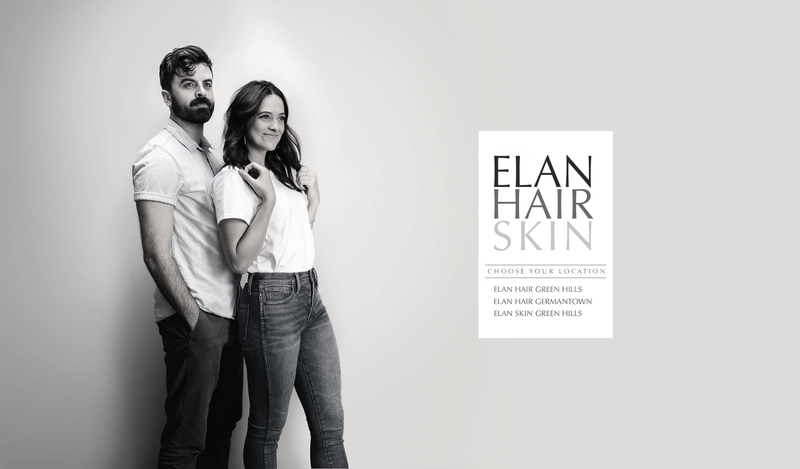 Elan hires the top talent in the industry. 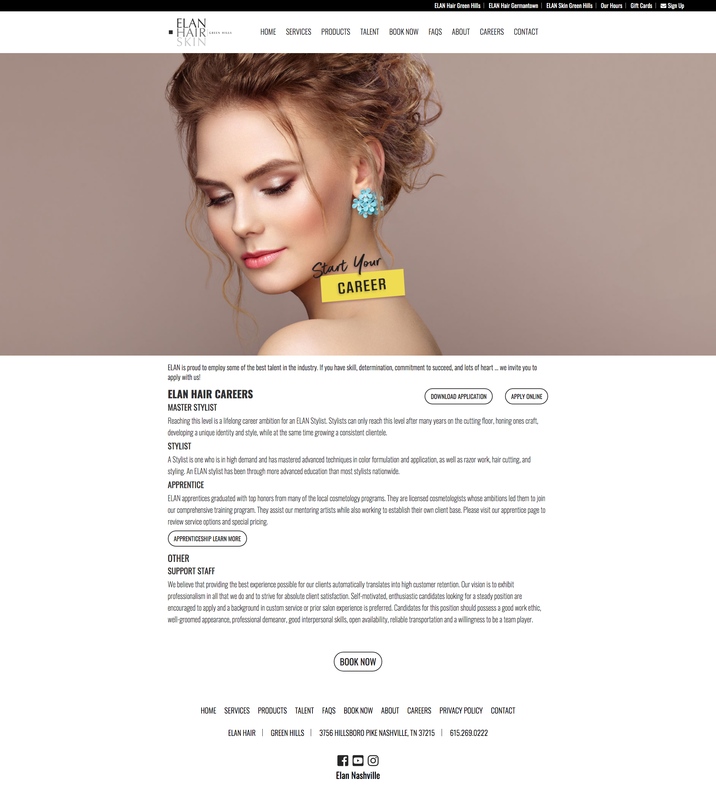 As such, it was important to provide a section of the website dedicated to recruiting top talent. This section provides information about available positions and links to forms for apprentice applications and employee applications. A simple landing page helps direct clients to the appropriate service and location. The homepage is rich with content. Updated frequently, the blog is prominently featured on the homepage, along with recently uploaded videos. Immediately below, we showcase the amazing talent within the company. 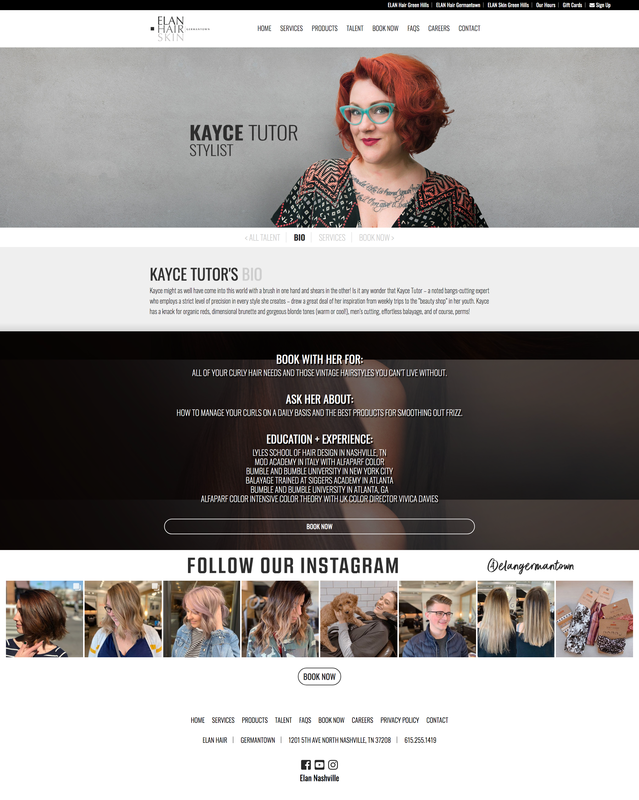 Each stylist has a profile that allows visitors to provide feedback and read recommendations from other clients. 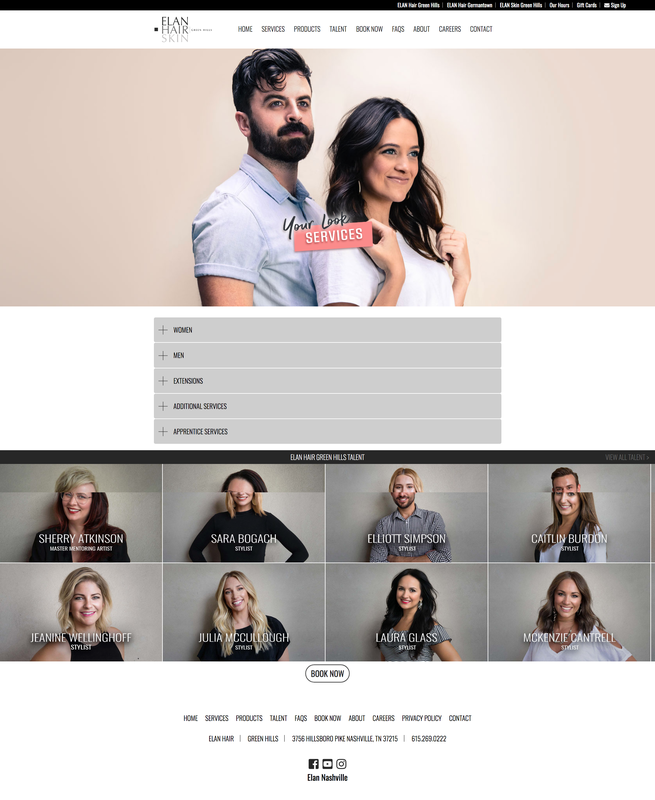 Social sharing calls-to-action are prominently visible on each profile, to help drive more clients to the salon and stylist.